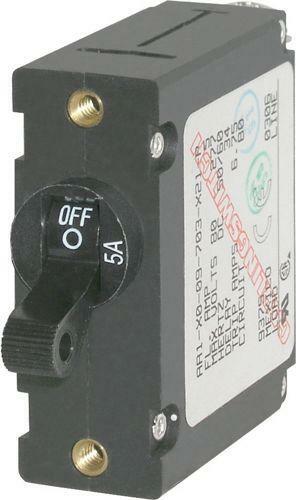 The industry standard circuit breaker for Blue Sea Systems electrical panels. Combines switching and circuit protection into a single device. Single pole Quick Trip models are designed specifically for electronics protection.